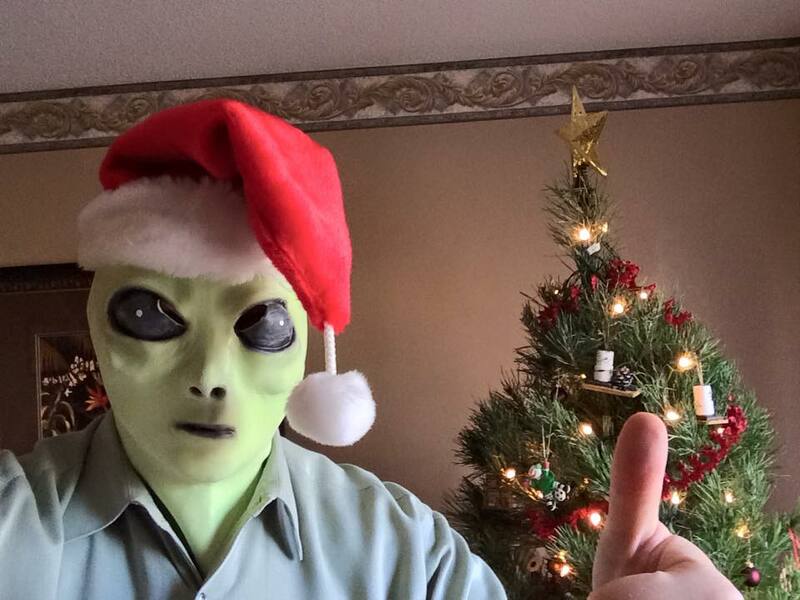 I got a bunch of nice gifts for Christmas 2014, including some strange surprises like a rubber green alien mask. But I want to talk about one gift that is so much cooler than expected. It’s the Amazon Fire TV Stick. I read about it a month or two ago, and thought it would be a fun little toy to have and not too expensive. But Beth thought it was a frivolous purchase we didn’t really need, so I just put it on my Amazon wishlist and didn’t order one for myself. Fortunately, my parents gave me one as a gift. Beth was right in that it’s something of a frivolous purchase. It doesn’t do anything that I don’t already have a way of doing. The main thing I wanted was just a way to easily stream movies from Amazon Prime Instant Video (a service where you can watch some movies or TV shows for “free” if you have Amazon’s “Prime” shipping service) or Netflix. I was able to watch Netflix movies from our TiVo HD, but if I wanted to watch stuff from Amazon I had to plug my laptop into our TV, change the settings around, and play the video on my laptop. It was possible, but it made watching any TV show or movie into a 10 minute affair just to set things up, and another 10 minutes to take it all back down later. For a 50 minute TV show, that’s a pain. Listen to my favorite local radio stations – These are streamed online and played on the TV using a Fire “app” called tunein. I had no idea I could get radio on this thing, including KUVO (Denver’s jazz station, which normally has a weak signal), Radio 1190 (the CU college station that I can’t even pick up in Denver), KGNU, NPR, CPR, and NOAA weather radio. Listen to streamed music from the Spotify service – I have Spotify premium already, which is required to make this work. Listen to police and fire scanner radios – Here’s another thing I had no idea was possible. I occasionally listen to the police scanner during regional emergencies like when we had tornado warnings in our neighborhood last summer. Watch videos from PBS’ free online video archive – This includes things like Ken Burns series, etc. I’m tempted to just ditch the old TiVo HD, but there are still a few things I use it for that aren’t replaced by the Amazon Fire TV Stick. Record and time shift Broncos games. I don’t see any way to play live TV on this, much less record it so I can skip through commercials. Record other over-the-air TV programs, like “Nova”, travel shows, “Soul Train”, “Land of the Lost”, and “The Joy of Painting”. If there was just a service that would take over-the-air TV broadcasts and stream them online — the same way that’s done with FM and AM radio and police scanners — that would be ideal. But the one company that tried this got taken to court and lost, and later filed Chapter 11. So for the time being, I’m using the Stick as a replacement for a laptop for watching movies and as a replacement for a radio. It’s so much more convenient than how I was doing things. But I’m not ready to get rid of the TiVo and over-the-air antenna yet.